Having worked on an awful lot of projects where we’ve created bespoke staircases and unique pieces of fitted furniture for our customers, we’ve managed to perfect the way we work to a fine art. As a result, we’ve devised what we call the Jarrods approach; our tried and tested method for creating custom-made carpentry for all of our customers. A week after confirming that you’d like to go ahead, all of our customers at Jarrods are contacted to verify that the contract and samples are correct. When this is finalised, a surveyor will be booked to make a detailed checklist of everything that’s involved. Our digital survey confirms the materials being used, provides drawn plans and provides accurate measurements for the customer to sign off. As part of our survey report, we will always go through a customer checklist to confirm that every aspect of the process has been followed to the letter. This includes confirmation that any wiring and cables, as well as carpet and gripper rods will need to be removed before fitting, and that spray polish shouldn’t be used on any wood. We believe that it’s the small points like these that can make a big difference and keep a client informed about every element of the project. For instance, if you wanted crystal clear glass, we can offer low-iron glass that removes the green tinge you often see on the edge of thick panes of glass. However, even the low-iron glass can have a slight blue tint to its edge, something that we make a point of notifying our customers about at this stage of the process. 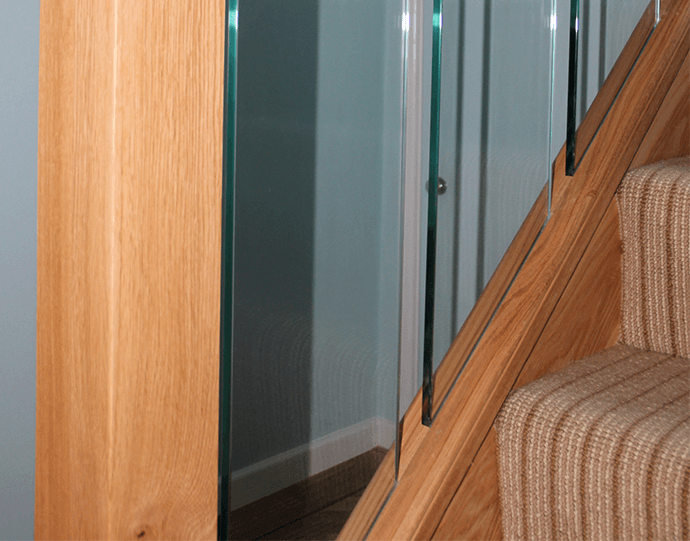 It’s important that we get everything right at this stage, so that we can ensure that each element of your new staircase is perfect. Once the surveys and checklists have been completed it means that we can start to order everything that’s needed. Our customers will receive a letter of confirmation with an installation date and then get a call from one of our joiners. Now they can put the date in their diary, on their calendar and in their phone so that they’re completely prepared for the next phase; Stage 4 – Finely-Polished Quality Control. 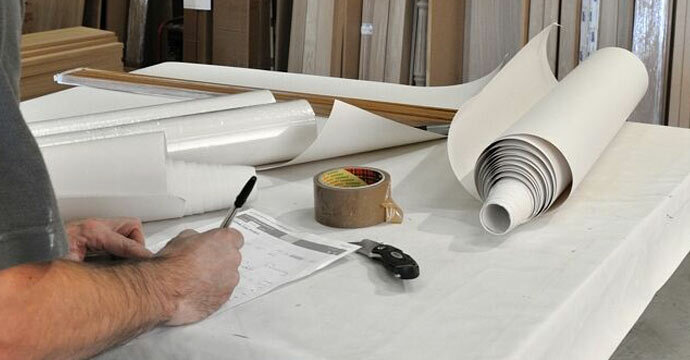 Attention to detail is an important part of everything we do at Jarrods, whether we’re creating a bespoke staircase or a piece of unique fitted furniture. If you’d like to see it in action, get in touch today.